How Much is my Home Worth in Zetland? 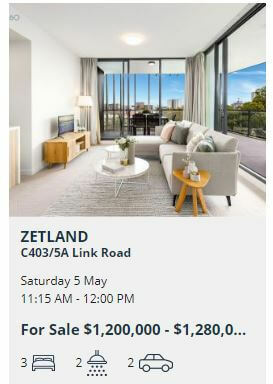 As of April 23, 2018, the median price for a house in Zetland was $1,520,000. The median price of a unit was $860,000. There has been 11 house sales and 244 units sold over the past 12 months. Of the unit sales, 86 were two bedroom apartments. The DSR or Demand to Supply Ratio rates an investment in a house as balanced and a unit as above average. A balanced ranking indicates there are as many buyers as sellers. Above average suggests there is marginally more buyers than vendors but only just. The 12-month capital growth in Zetland is at -12.14% for houses and -2.82% for units. The average annual capital growth is 11.81% for houses and 5.78% for units. It takes on average approximately 65 days to sell a unit. The gross rental yield is 3.25% for houses and 4.77% for units. Are you thinking of selling your home or unit? Or, perhaps you have an investment property you want to know the value of? Our appraisal team will provide a free property appraisal of homes, units or land. We base our market price on recent sales history. We also factor in the location of schools, shops and amenities. We will present a professional report as to the current value of your home. Are you moving and want to rent ou your home? Or, do you own an investment property and need the services of a property manager? Our property management team manage multiple properties. The will give you a free and accurate appraisal of your expected weekly rental return. Our staff use the latest software to perform routine inspections, collect the rental fee and maintain your property. Each landlord receives full tax accounting documentation in a format of your choice. Are you aware there is a difference between a property appraisal and a property valuation? If for some legal reason you need your property valued then you must engage the services of a registered valuer. This service will come with a see. Appraisals can be performed by a licenced real estate agent. In this case, our appraisers will do this for free. Craig Sewell is the Foundation Director for Mint360 Property a leading real estate firm based in Sydney’s exclusive Eastern Suburbs. 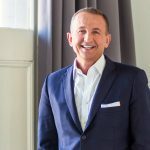 He holds the record for selling the most expensive house in Maroubra for $8 million and has sold shopping centres for up to $15 million. Craig’s most important connection is to his family and the community they live in. That’s why, when he is not selling property, you will see Craig and his four children getting involved in local life – he is a strong believer in the development & education of children giving time and money to Coogee Public School P&C Surf, Coogee Minnows Junior Surf Lifesaving Club, Coogee Rugby Club (The Seahorses) or simply enjoying the fabulous beach-side lifestyle on offer in Sydney’s Eastern Suburbs.